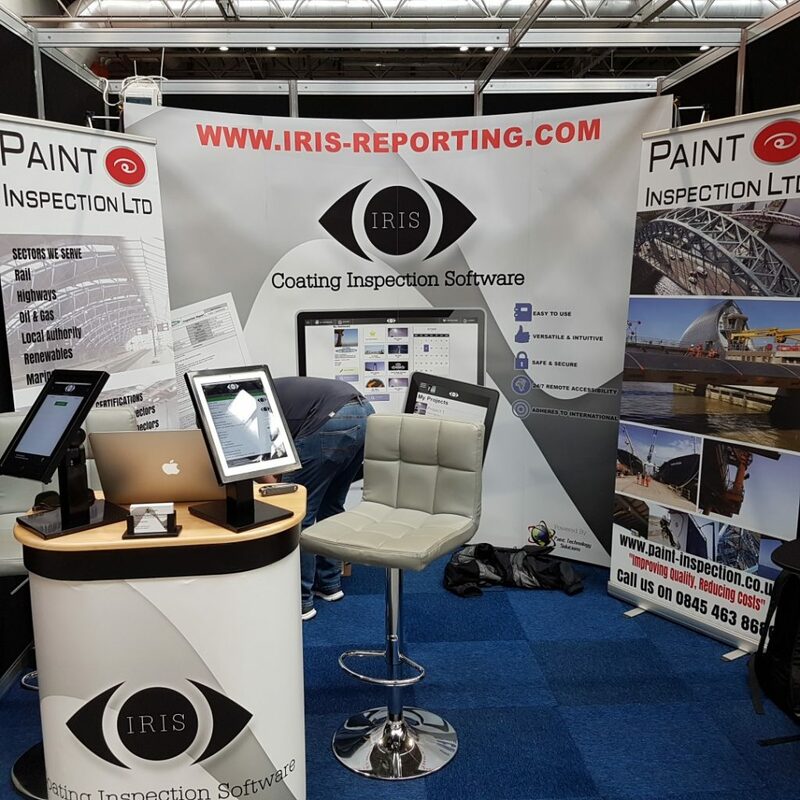 Are you looking for coating inspector jobs? 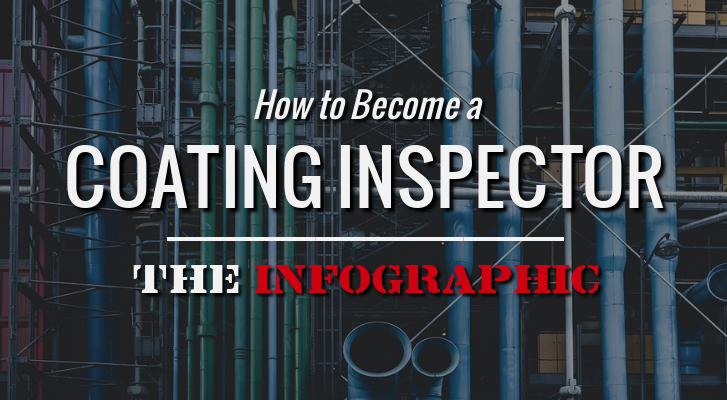 In this infographic, we will show you step by step how to become a coating inspector. Did you know that the average coating inspector salary is 62% higher than the average salary across Europe? You can get a piece of this by studying ICORR and NACE paint inspector courses to achieve coating inspector certification. 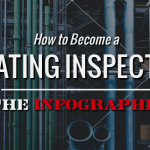 For professionals with industry experience, we will run through coating inspector salary variations. These pay variations depend on your location and years of experience. Paint Inspection Ltd are pleased to announce that we have now achieved Gold (level 3) membership with Construction line. Well done to the team who put thehard work in to achieve the level 3 status. 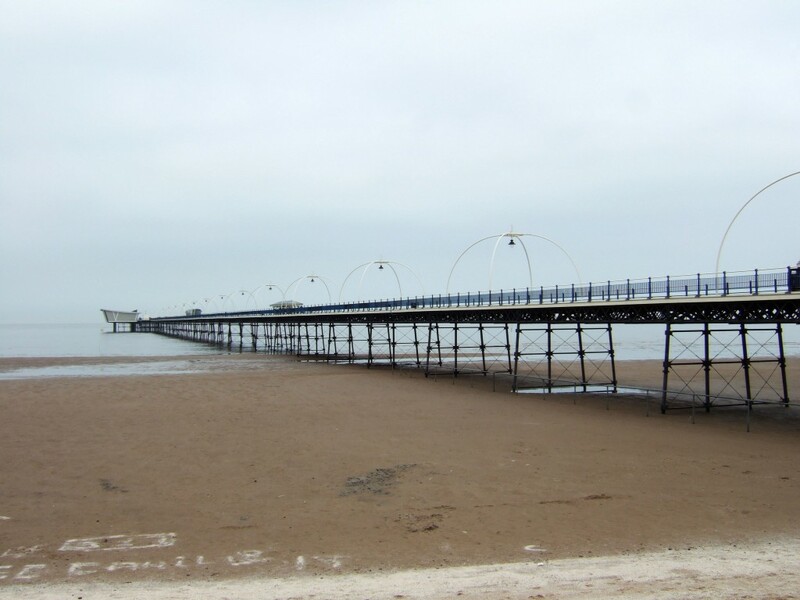 Following on from the survey we completed last year, we are pleased to be working for Lancashire County Council carrying out the quality assurance inspections on the Greyhound Bridge painting works. 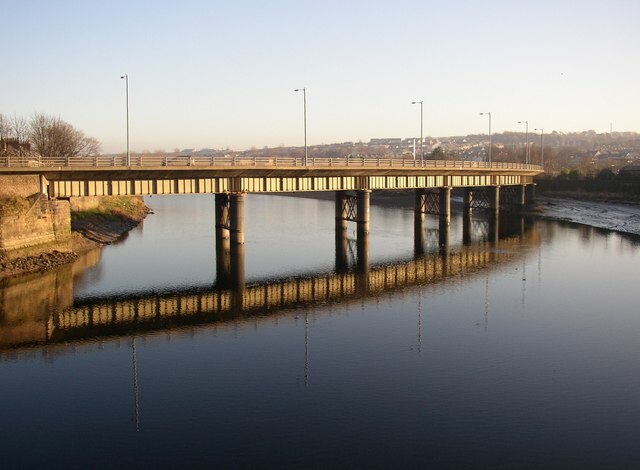 The works are part of the four million pound refurbishment project to avoid weight restrictions being imposed on the bridge in the future. Whether it’s the result of the Sunday night blues, an impending deadline or an overbearing boss, we’ve all had days where going to the office feels like a threat to our health. But beyond the daily slog and stress of a working day, did you know that the actual building you work in could be making you feel ill? Beginning in the 1970s, people began to report strange symptoms that only appeared after spending time in particular buildings – most commonly, their office building. These symptoms included eye, throat and nose irritation, headaches, and dizziness and nausea, along with general feelings of fatigue and ill health. Often, these symptoms would improve or disappear entirely once employees left their workplace. In 1984, the World Health Organisation coined the term “Sick Building Syndrome” to describe these symptoms, believing that flaws in the designs of new buildings were to blame. Ongoing oil embargos had caused energy prices to skyrocket. To counter this, planners wanted to make buildings more energy efficient, which they achieved by reducing outdoor air ventilation. Unfortunately, this had a knock-on effect: more airtight buildings meant that chemical pollutants like VOCs, and biological contaminants such as bacteria and mould could build up to the extent that they started to affect the health of employees. Indoor air quality worsened, with air indoors often 2-5 times more polluted than the air outside. On top of this, other conditions in office buildings exacerbated these problems; for instance, photocopiers emit ozone which in high concentrations can cause breathing difficulties. Sick Building Syndrome is more prevalent in open plan offices than anywhere else, and with 70% of office buildings now employing an open floor plan, it isn’t going anywhere. The constant noise and distraction in open offices exacerbates symptoms like headaches and poor concentration. Workers also experience the infamous office temperature wars, where everyone is either too hot or too cold. Plus, being in constant proximity with colleagues means if one person gets sick, everyone else does as well. All this combined with poor lighting or bad ventilation is a recipe for disaster. The end result is that people working in open plan offices take 62% more sick leave. 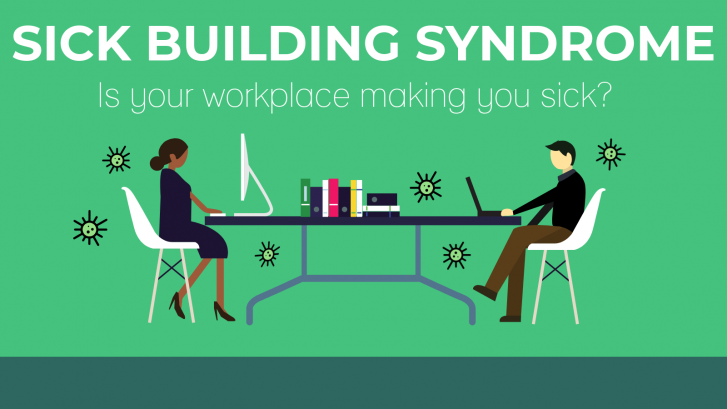 To help you learn more about Sick Building Syndrome, we’ve put together this helpful infographic at Paint Inspection. It tells you everything you need to know, including the symptoms, causes, and the costs to employers. We’ve also shared some handy tips to improve your office environment and reduce these symptoms.